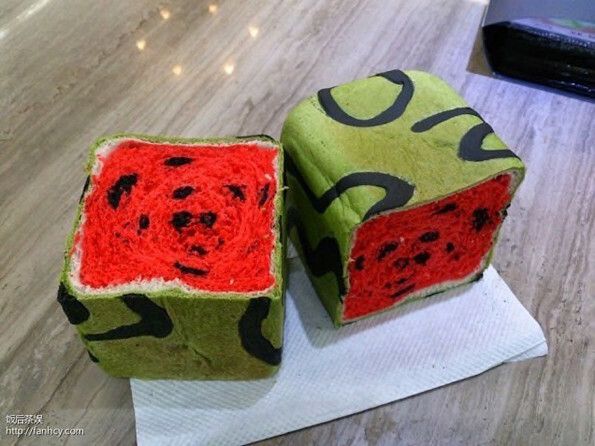 Want A Slice Of This Watermelon Bread? 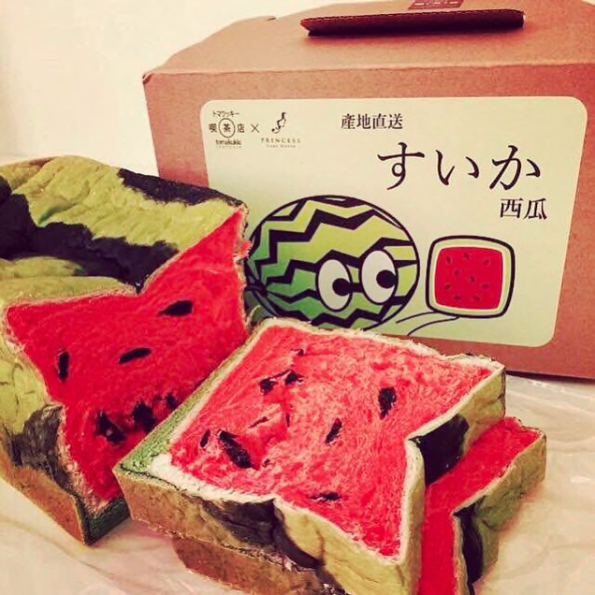 Check out this watermelon bread! 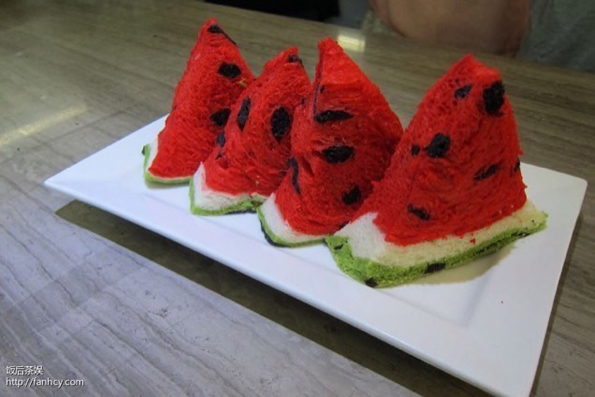 It isn’t made from watermelon, it just looks like watermelon. 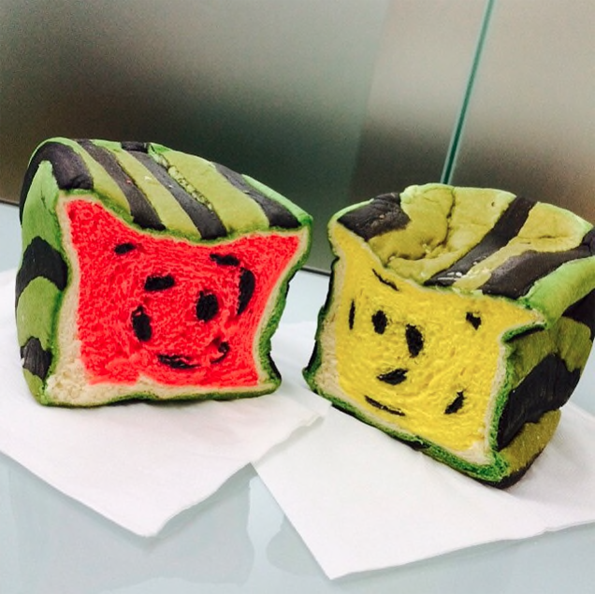 Made out of different colored doughs that are put together to make up the appearance of a watermelon. A square watermelon. Awesome!